What's this? Two Blogmas posts in one day? I know, shocking for me. 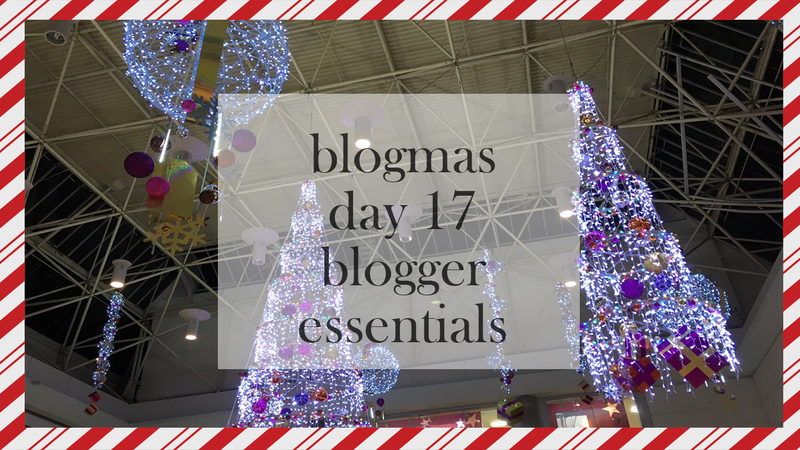 But yes, hello, and welcome to Blogmas Day 17! Hope you all had a lovely week/weekend and are excited that Christmas is literally so close now! For today's Blogmas, I wanted to share with you all what I consider 'blogger essentials', or things a blogger would want to give themselves the inspiration to keep creating amazing posts, or for new bloggers to create their own blogger space. There won't be loads of things on here, because people can do good blog posts/create ideas without these items, but they're just nice to throw out there and make them known! Note: Photos used in this post ARE NOT mine, so credit to the rightful owners. 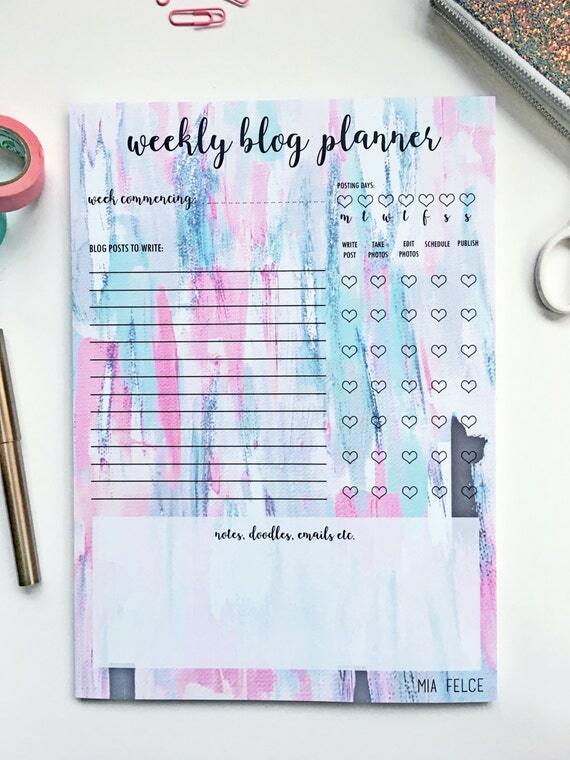 Weekly Planners - I have seen SO MANY of these around, and I really need to invest in one because in all fairness, they look gorgeous and are super good for organising yourself when it comes to blogging. MiaFelce has been a shop on Etsy which I've seen around as of late and holy cr*ap, this weekly planner is beautiful (view here, and for £10, you can't go wrong really!). 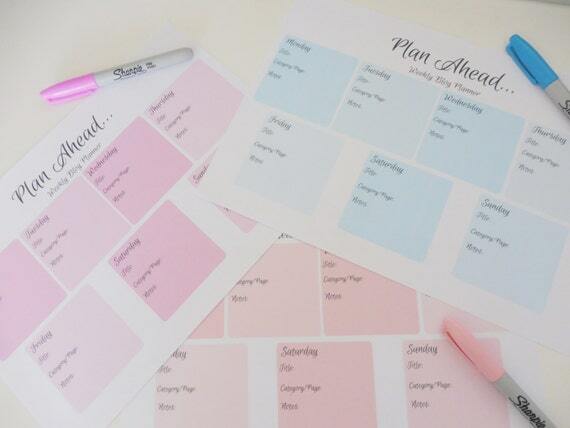 Or if you fancy something simple, there's an instant download planner for £1.55 from DoortjeDesign (here). I also really like these ones because there's a nice bit of room to write (especially if you have big handwriting like me) and it comes in a variety of colours, only for £1.20 (here). Motivational prints - I love these because there's nothing more than reading a motivational quote to get the creative juices flowing and a blog post to come out at the end of it! 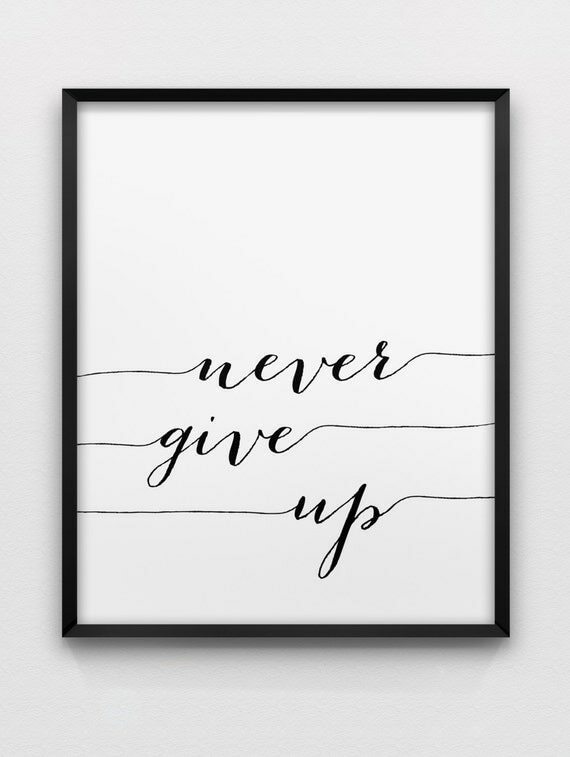 From spellandtell on Etsy, there are so many beautifully motivational prints which I adore and wish I owned - I know if I had one of these in my room, I'd be so motivated to do blogging. 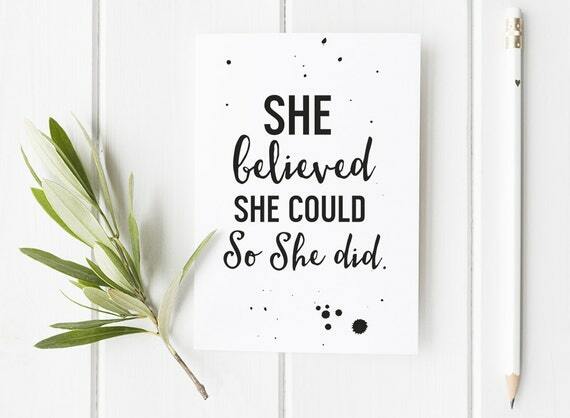 I also like a print from VeraLaLune (also from Etsy) which is a infamous quote which is "She believed she could so she did". I love that so much, because it not only gives me motivation to blog, but just for everyday life (here). It's only £2.75 and for decor, that's not a big price to pay. 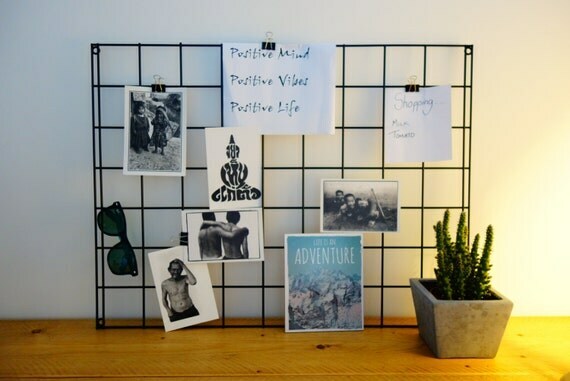 Memo boards - I love these and I wish I had a space for one. I've seen some gorgeous ones around, and I found one on Etsy from LongBeachDesign for £40 (here). I know it's expensive and I wish I could find a cheaper one, but I honestly couldn't. What does your blogger space look like? Do you have a blogger space? Does it give you sprigs of inspiration? Let me know in the comments! Feel free to follow me on Twitter: @chloemtommo, Instagram: @chloetommo and Bloglovin. Have an amazing day and be prepared for Day 18 and 19 of Blogmas tomorrow! This is perfect! 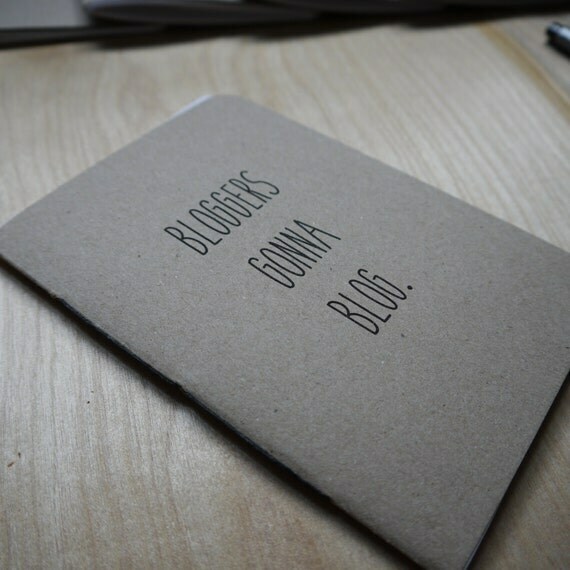 Anyone struggling to buy a gift for the blogger in their life will find this super useful! I adore the motivational prints that you picked out! Etsy is choc-full of unique choices! I'm hoping to get some blog planning stationery in my stocking! Thanks for sharing! Etsy is honestly one of my favourite places online. It's so perfect for all manner of things, especially things that have that extra personal touch! I feel the same way! A good quote here and there always motivates me, and makes me want to write or be productive. I honestly want to get it for myself too! 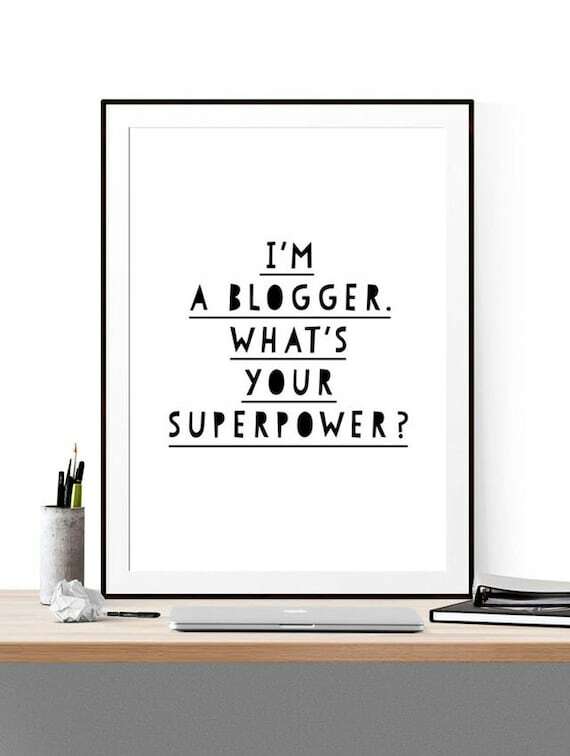 Bloggers are underrated sometimes and we are literally superheroes for the content and effort we put in! My life revolved around my planner and I got a super cute one from the Magic Notebook and it's so adorable! I do love etsy though, especially supporting small businesses so might get my next one from there! I've not used a planner before, only started to recently record down my ideas and I feel way more sorted than just chucking my ideas on a Word document! I love all of these! 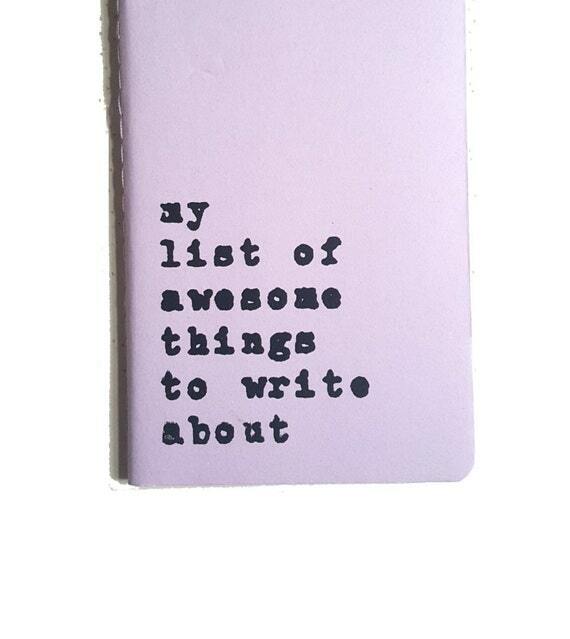 Will definitely be popping over to MiaFelce's shop to pick up that gorgeous planner. I also really like that VeraLaLune print. Great picks! MiaFelce definitely doesn't disappoint at all with the variety of different things, I'm so impressed. So glad you liked the post!